JoAnne (Bresina) Kvapil, of Chippewa Falls, passed away on Saturday, March 30, 2019 at her home while under the care of Mayo Clinic Hospice. JoAnne was born January 4, 1957 in Chippewa Falls to Clarence “Breezy” and Mauretta (Fasbender) Bresina. She graduated from Chippewa Falls Senior High in 1975 and District One Technical College in 1977. She furthered her education by taking self-defense classes, hunter’s safety, computer classes and Red Cross CPR and Emergency First Aid. Over the years she was employed by Walmart, Eau Claire Mattress, L.E. Phillips Career Development Center, Eagle Industries, Schwan Tool and Plastics, Voith Hydro, and the Town of Hallie. She owned and operated Odds & Ends secondhand store and volunteered for the Colfax Elementary Stamp Network, Spirit of Christmas, Chippewa Falls Middle School Music Dept., Headstart, Domestic Abuse and the Salvation Army. 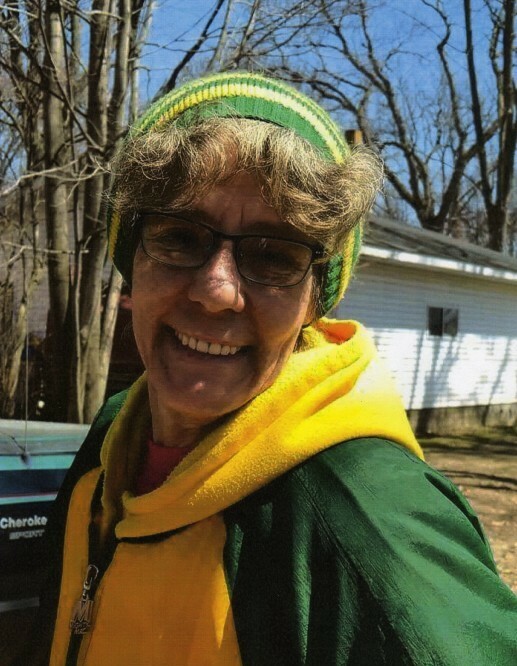 JoAnne loved coaching the Packers, and spending time with her grandchildren and her large family. She enjoyed fishing, baking, sewing, dancing, auctioning, remodeling their home and designing unique and unusual products. Christmas was her favorite holiday. JoAnne is survived by her husband, Thomas; daughter, Billie Jo Burgraff, three granddaughters, Gracie, Emma, and Alice all of Menomonie; three brothers, Clarence (Lori) Bresina of AZ, Mike (Kandi) Bresina of Owen, and John Bresina of Chippewa Falls; two sisters, Carol Howard of Fayetteville, N.C. and Rita Bresina of Oshkosh, Wis.; mother and father-in-law, Lois Kvapil and Albert Witkus; two brothers-in-law, William (Sandy) Kvapil and Dennis Kvapil; six sisters-in-law, Lorraine (Dan) Fasbender, Linda (Chris) Kvapil, Mary (Marshall) Kvapil, Michelle (Scott) Strassburg, Marsha Kvapil, and Paula Kvapil; and many aunts, uncles, cousins, nieces, nephews, and friends. She was preceded in death by her parents; brother, Bill Bresina; brother-in-law, Jesse Howard; nephew, Zachary Bresina; and nieces, Amanda Bresina and Jennifer (Britten) Hanson; great-nephew, Christopher Britten; father-in-law, Daniel Kvapil; and great-great-niece, Shanyah M. Albert-McNorton. A memorial service will be held at 12 p.m., Friday, April 5 at Pederson-Volker Funeral Chapel with Fr. Jesse Burish of Notre Dame Catholic Church officiating. Spring interment will be in Hope Cemetery, Chippewa Falls. Visitation will be held from 10 a.m. until the time of service Friday at the funeral chapel.